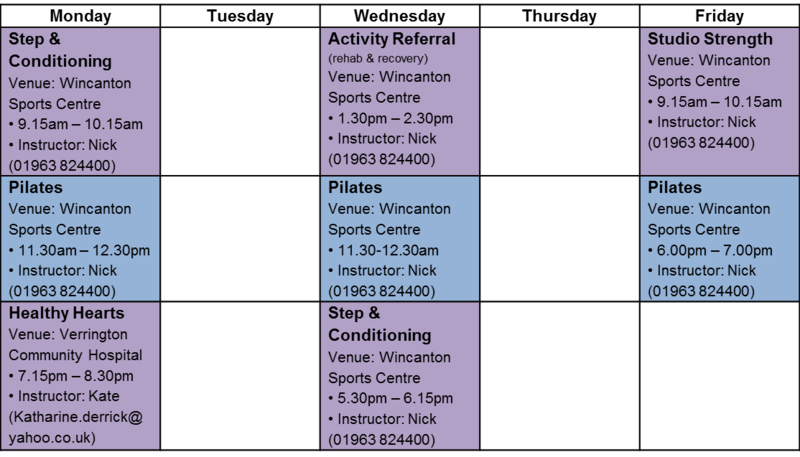 Please contact the relevant Leisure Centre for the costs per session/membership. Please contact Kate for advice on the best session for you - 01963 350600. Nick has over 20 years experience in the fitness industry, he is a qualified Personal trainer, Pilates Instructor as well as being a GP Referral Instructor. Taryn has over 20 years experience in the fitness industry, she is a qualified Pilates Instructor as well as being a GP Referral Instructor.